Limber. Lean. The adaptability of a startup with more than three decades experience. 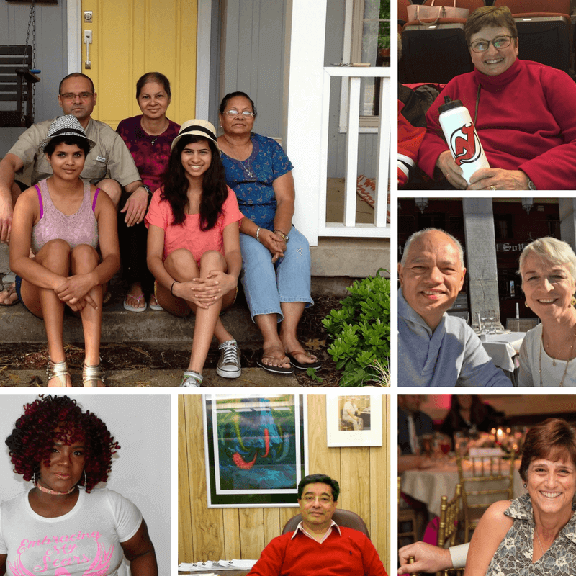 However you say it, Cancer Hope Network’s paid staff isn’t big. In fact, we’re kinda small. 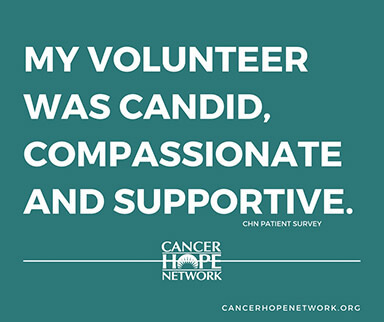 But, thanks to our army of volunteers, each day finds nearly 500 people working to support cancer patients, caregivers and the people who love them. Which means Volunteer Appreciation Week is kind of a big deal for us. Our volunteers stuff envelopes, create charts, coordinate fundraisers and, most importantly, help people impacted by cancer find hope. 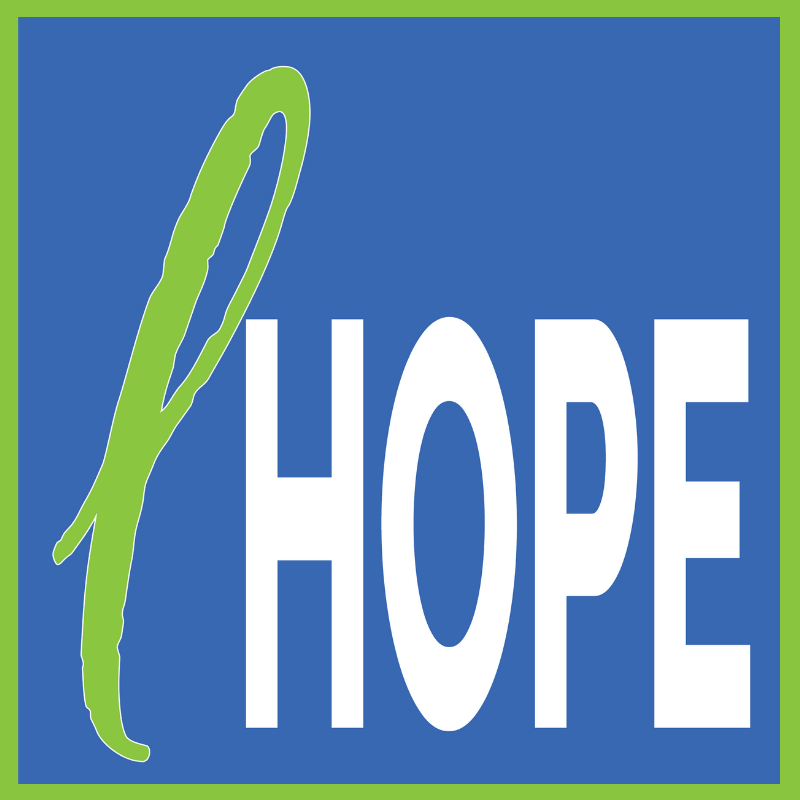 Here in the office and on social media, we sometimes call it #matchHOPE. 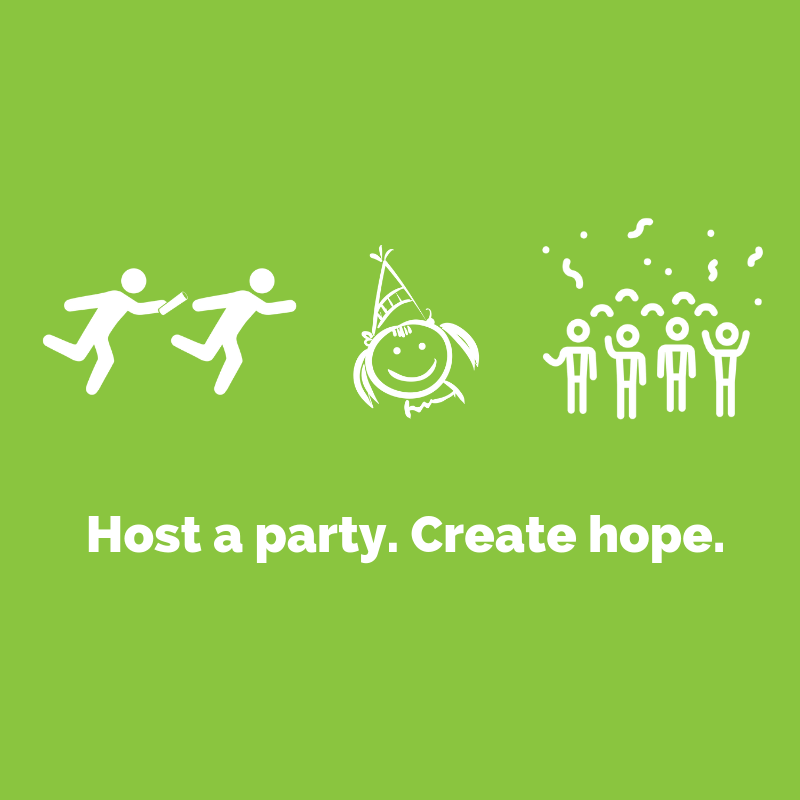 For us, #matchHOPE means the peace of mind that only someone who has been through the same crisis can share. It’s the hope that a match (see what we did there?!) 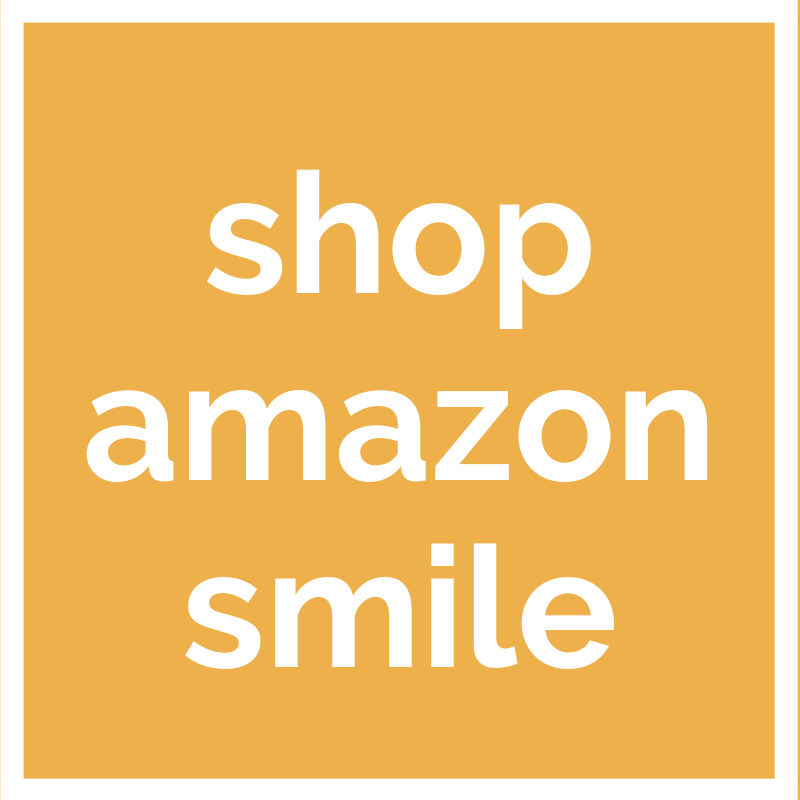 with a trained cancer survivor Support Volunteer creates. 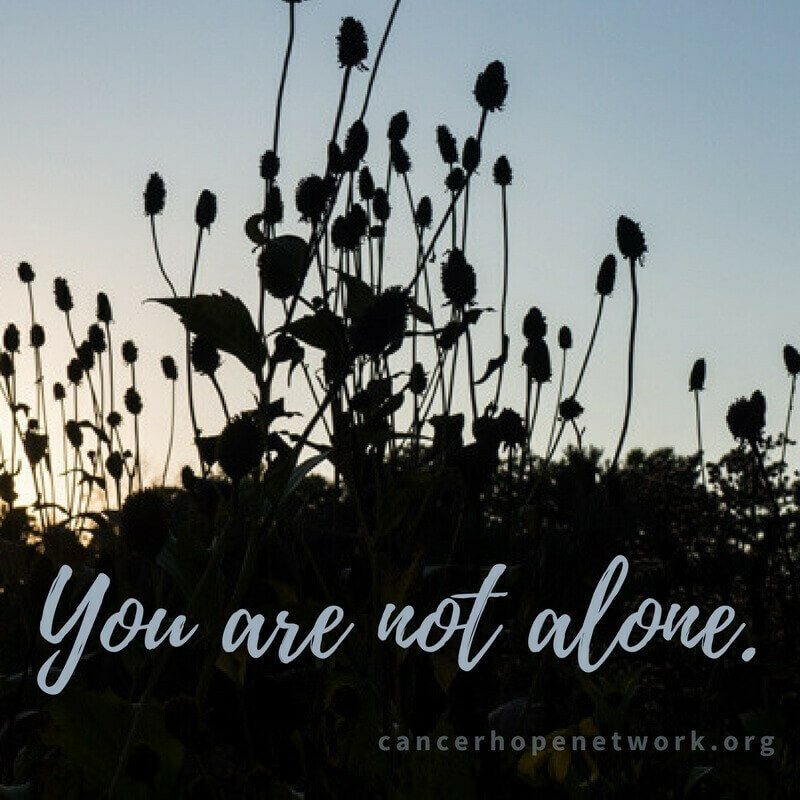 I’ve worked at Cancer Hope Network for several years and I’ve heard feedback from the patients who found comfort in their darkest days. I know what incredible people make up our volunteer “workforce.” They’re kind, they’re thoughtful, they’ll help find perspective and some of them are wicked funny! But as my own circles of family and friends have faced health challenges, I’ve come to realize more deeply how meaningful it can be just to speak with someone who’s been on the same road we’re travelling. Whether it’s emotional encouragement as side effects kick in during treatment, practical suggestions on ways to carefully move a bedridden loved one (hint: bedsheets and angles!) or pre-op information to share with a loved one, CHN Volunteers have been a lifeline. 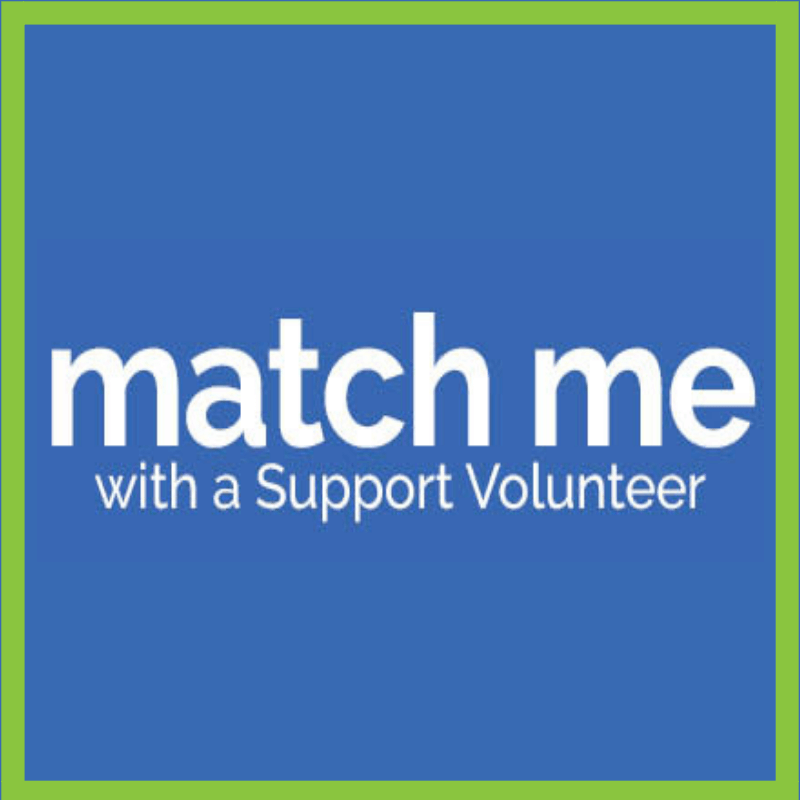 Thanks to conversations and surveys with folks who have been matched with Support Volunteers of their own, I know that I’m not the only one that’s found consolation and calm in connecting with someone who's been there. Life is challenging. In the healthiest of times, the responsibilities of work and family compete with that Pinterest project you were planning to finish and that book-you-really-promised-yourself-you-were-going-to-read in a mental tug of war. There’re never enough hours in the day, rarely enough sleep at night. And then cancer arrives. Adding treatments and side effects and fear and myriad emotions to the mix can be overwhelming and exhausting. We know that. We can’t fix it. But we can promise that, thanks to CHN Support Volunteers across the county, no one has to face the challenges of cancer alone. “If all your volunteers are like the one that I spoke with, then you have exceptional people volunteering for you that make the illness I’m going through easier to contend with.” We couldn’t have said it better ourselves! 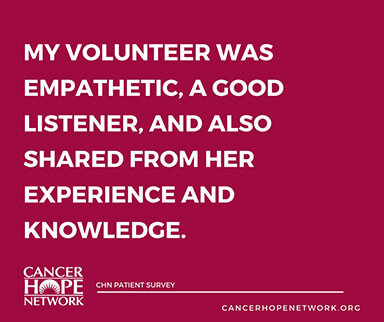 So, on behalf of the patients, caregivers, brothers, sisters, friends and more who have found hope in conversation and light in the darkness, we say to each of our volunteers: Happy Volunteer Appreciation Week! Sarah Miretti Cassidy is the Director of Marketing and Patient Outreach for Cancer Hope Network. 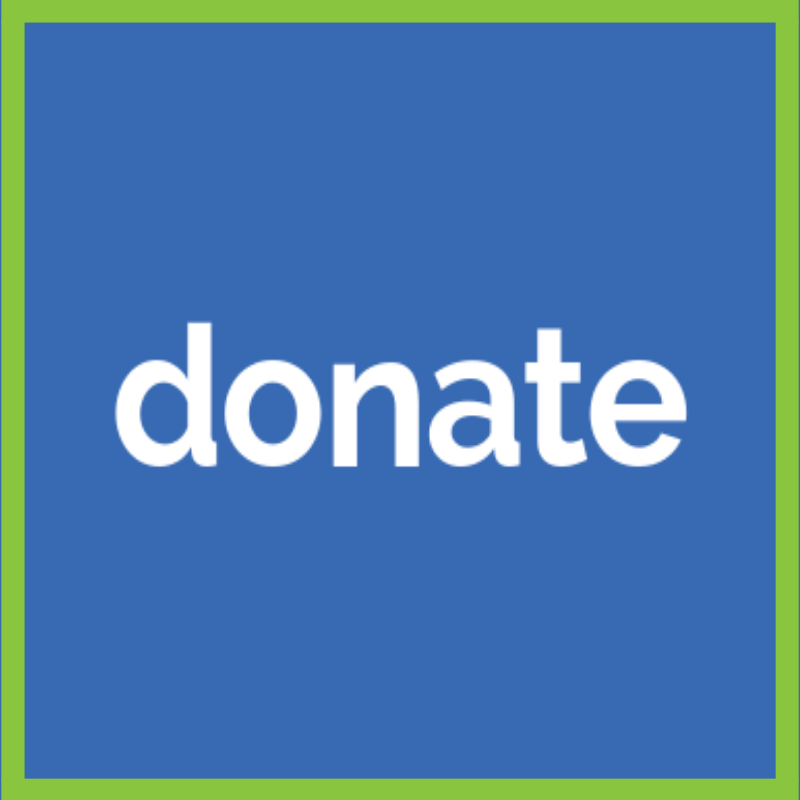 Click HERE to request a volunteer match or HERE for more information about becoming a volunteer.